Chris Underwood's Blog: UK Aid: Stick or twist? UK Aid: Stick or twist? David Cameron arrived back at his desk after a summer break dominated by a rising chorus of criticism from his own side that he just wasn’t up to it. Boris Johnson, Mayor of London and erstwhile rival for the top job in a few short years, had called for Cameron to “stop pussyfooting around”. Nadine Dorries, an oft-mocked MP but nevertheless representing a strong right of centre faction in the party expressed fury that the Government was not Conservative enough and out of touch with ordinary people, a malaise she blamed on the fact that Cameron and his ally Chancellor George Osborne were both “rich posh boys”. While Peter Bone, representing the Right-of-Right faction who call themselves the Cornerstone Group, even speculated about who might take over in the event of David Cameron’s death. A tad bizarrely, perhaps. Put that alongside the disastrous unravelling of the budget in recent months and a series of badly handled policy gaffes and it was all getting a bit hard going for this Government. Last week’s re-shuffle, then, was intended to put a spark back into the administration and seize back the initiative from an Opposition Labour Party that was coasting along without having to do much at all, really. It seems to have succeeded, according to the punditocracy. But for the international development sector it has put a giant cat amongst a group of frankly terrified pigeons. Late on Monday afternoon I received a part-typed part-handwritten letter from Andrew Mitchell, the departing Secretary of State, in which he paid tribute to the work of International Alert, for whom I work. Signing off personally with best wishes for the future he had underlined words for effect and it spoke volumes about him, that he would take the time to draft such a letter in the final hours of his tenure instead of handing it to his officials. That was why the development sector generally liked Andrew Mitchell – he was approachable, and thoroughly understood our work, having taken care to use his time in Opposition to do so. He was also very tough and single minded in pursuit of value for taxpayers money, introducing independent scrutiny of his own Department's effectiveness including its' funding of NGOs, and did not suffer fools gladly. But he inspired confidence and even warmth among many. We had to wait hours, then a day, for his replacement to be unveiled as she apparently argued vehemently against the idea. 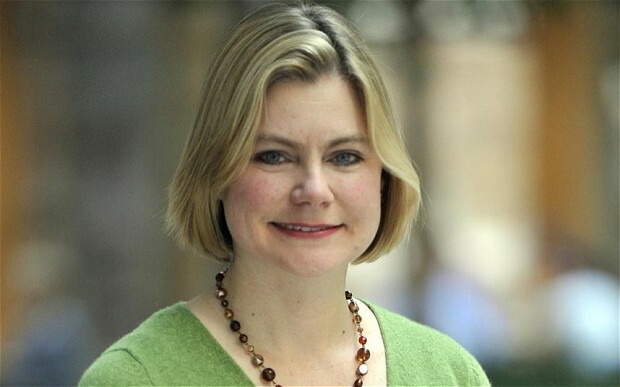 After an eternity entered stage left Justine Greening, the former Secretary of State for Transport. At a meeting later that week well over thirty development NGOs, who happened to be meeting anyway, had a discussion about who she was and what she might be like. It soon transpired that nobody knew very much but from what we did know there seemed to be a sense that Ms Greening would be constructive and positively disposed to her new brief. The very next day brought a story in the Times newspaper that painted a very different picture. She had argued against the job, it claimed, and did not regard the work of the Department for International Development very highly. This sent the Oppositon Labour Campaign for International Development into a spin, quite literally, as they issued dire warnings of what all of this meant for aid. I asked the journalist, Sam Coates, why she was claiming things in the spin she put on her article, such as the fact that Ms Greening wants to end the ringfencing of development spending, that did not appear in the article itself. She refused to answer. But this week-end brought more. The Sun, Daily Mail and Express newspapers, all of which represent the Peter Bone outlook on the world, joined the chorus of approval for what they expect – and want – to be cuts to the UK aid budget - or the "foreign aid madness" as the Express calls it. An iron law of British political life is never to believe what you read in newspapers. We have a sick press in this country that is currently being investigated by the police and even a High Court Judge, after all. So all of this is likely to be guesswork and wishful thinking. But if Ms Greening is of the Peter Bone persuasion when it comes to aid it may give some pause for thought to the sector as a whole. He was, after all, the man who personally intervened to block a piece of legislation that would have guaranteed UK aid spending to be maintained at 0.7% of Gross Domestic Product only months ago. Whether that target is the right thing to be doing anyway is an argument for another article, but for the time being the anxiety levels of those same NGOs, as they scan the Sunday papers for any signs of what the new Secretary of State really thinks, and where she might take UK policy, is likely to remain sky high.